If you are in the metro like this writer, we had our share of eating sisig. Most of restaurants offer this dish and it has been done in a variety of ways. 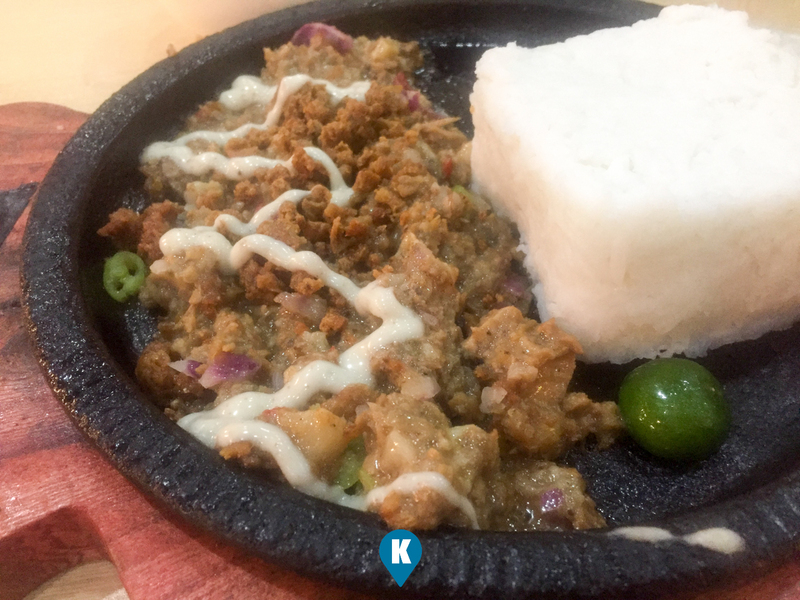 Sisig may have been a contender for a "Pambansang Ulam" against Adobo or Sinigang. This time around, we came to check on King Sisig in SM Muntinlupa. Costing only Php99, it includes sisig with rice, and soup. 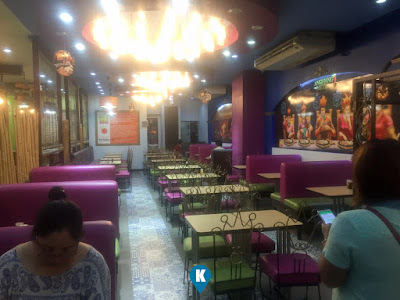 The lady on the counter immediately offered unli rice at Php109. I have recently pledged that I will, I should, would try, would like to try and strictly follow, maybe a diet plan. Thus this time around I withheld the unli rice and simply ordered the regular meal. It took a while for my order to arrive and I don't know why. Sisig is pre cooked already so maybe they took time reheating it since I came in around 3pm. Way past lunch time. Now when my meal came, I realized why the lady recommended to me the unli rice meal. 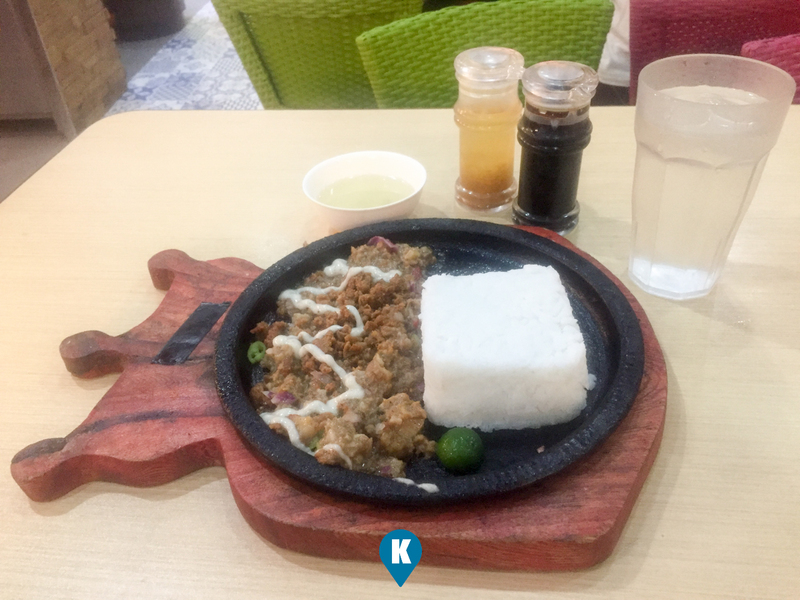 Serving wise the sisig was half of my sizzling plate and my cup of rice won't be enough. Maybe worth the Php99 price tag. The soup that came with though was a teeny weensy little bowl of beef water. More of the soup in the next paragraph. 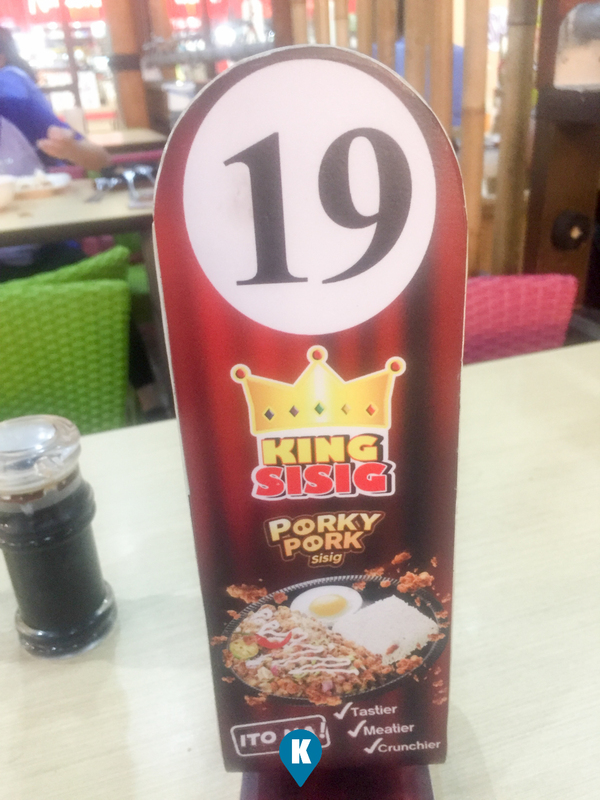 So serving wise except for the soup, sisig was fine. Now taste wise. 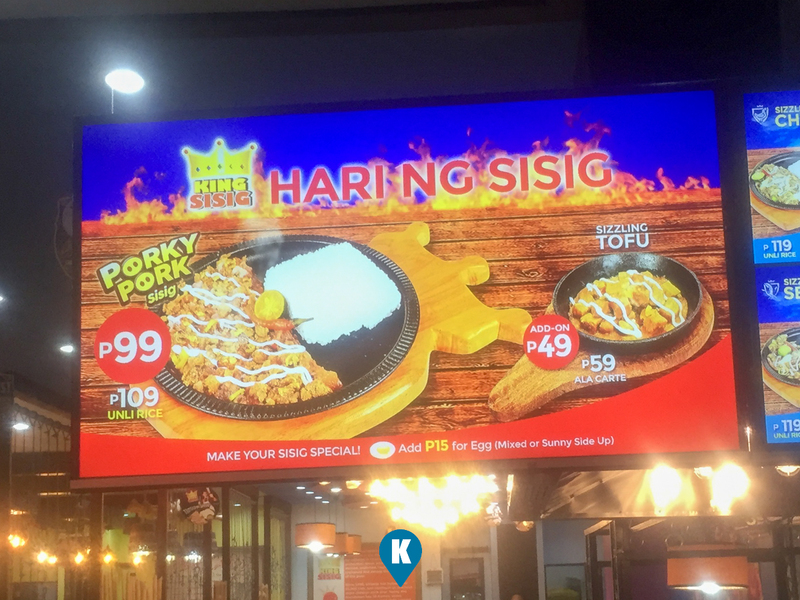 Sisig are usually small bits and chunks of pork or beef meats (sorry I dont' know exactly but if I were preparing this, I would mix the two for flavor), but their sisig was so cut up that it almost feels like you're eating grounded meat. It was also a bit fluid or watery that if I had a straw I would be able to sip it through one. Sorry but hardly this is not the sisig I like. Tastewise, I dunno what to make of it. 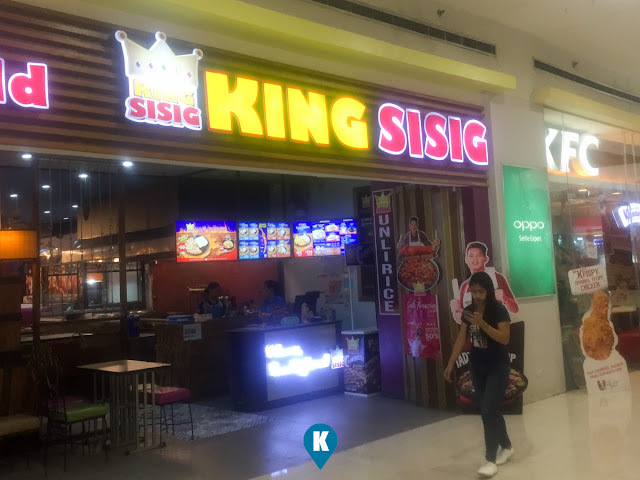 I kept thinking sisig hoping my mind would trick my tongue to tasting it like sisig. I was tasty yes, mixed with rice (which was served cold), it was something I can take and tide me over to my next meal. But sisig it wasn't for me. Now the beef water I mean soup. It was like boiled water and using soy sauce (a little bit) and a beef bouillon. I'm no chef but I dabble in cooking and it tasted like beef powder or beef cubes. I was hoping to catch a taste of some vegetables as I was assuming it could have been soup from a "nilaga" based dish. I guess I was so wrong with my assumption. 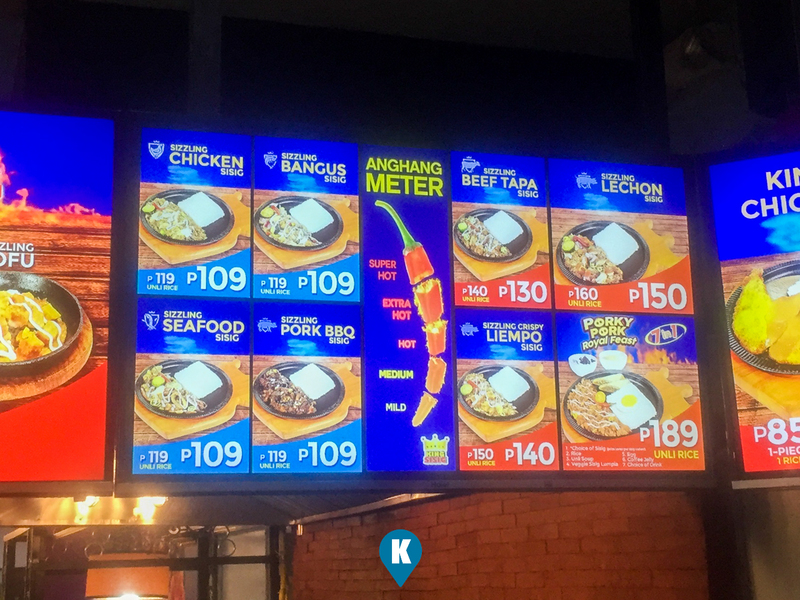 Our take with our meal is that we could have taken our Php99 elsewhere. I would not say its bad, but its not good either, it maybe just right but simply it wasn't the sisig I was looking for and I would not be eating this again here at this restaurant. 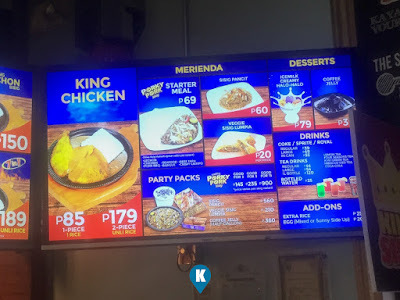 King Sisig also has other meals on their menu, maybe If I go back to this restaurant, I will surely order their other stuff., not the sisig. Should you have any interest in their dishes, you may visit their FB page here.